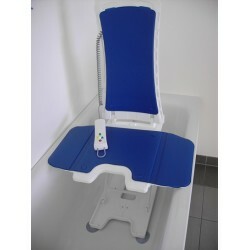 Bathing helps with all sorts of ailments from a stressful day to aches and pains and chronic pain. 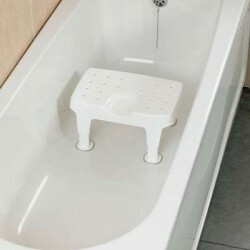 Baths are a luxury that not all of us can have due to space requirements and mobility issues. 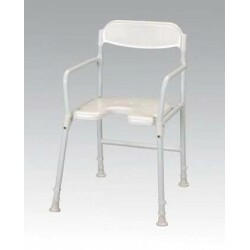 However, we provide a wide range of assisted bathing options which brings the luxury of bathing to more people than ever. 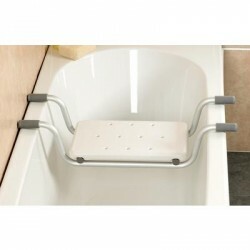 There really is nothing like a long and leisurely soak in the tub to ease the stresses and strains of the day. 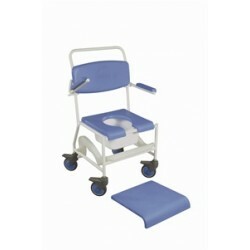 So why not experience that soothing comfort and relaxation with our various accessories. 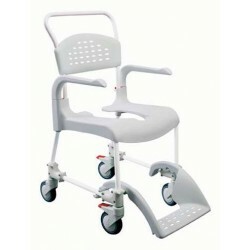 Bellavita Bathlift A True Bathing Experience For Those Who Require Their Bathlift To Be ..
Orca Bathlift Aquatec Bath Lifters - Tried and trusted by healthcare professionals. 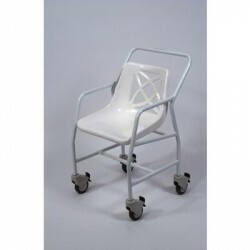 The Aquate..
Etac® Clean Shower Commode Chair Attendent Propelled Designed with comfort, security and ease of ..
Uppingham Mobile Commode Shower Chair Manufactured from peel resistant, plastic coated steel tubi..
Shower Stool Wheeled Quality sturdy shower stool wheeled chairs makes you feel secure and mo..
White Line Shower Chair This shower chair has armrests on the side of the seat to provide additio..
Shower Chair Static Quality sturdy shower chairs, fixed height. 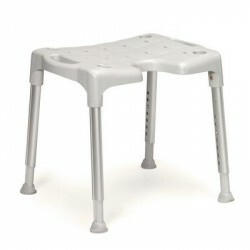 Seat Width 18" Maximum us..
Aluminium Shower Stool/Chair This aluminium shower stool have moulded plastic seat ..
Adjustable Height Shower Stool Feel more safe having a shower with these easy assemble neat ..
Adjustable Shower Stool The Shower Stool is manufactured from aluminium to remain lightweight yet..
Bath Stool with Rotating Padded Seat The rotating padded seat reduces twisting and reaching while..
Adjustable height triangular shower stool which fits neatly into the corner of the shower base allow..
Bosworth Shower Bench Adjustable height shower bench with a heavy duty perforated injection mould..
Chester Shower Stool This sturdy showering stool has a padded seat and front cut out to aid perso.. 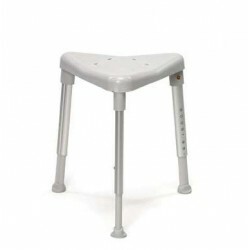 Corner Shower Stool This handy tripod stool fits neatly into the corner of the shower giving much..
Etac® Edge Corner Shower Stool The Edge is a comfortable, height adjustable triangular shower sto.. 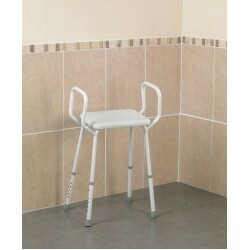 Swift is a prize winning range of shower stools and chairs that are both functional and attractive. 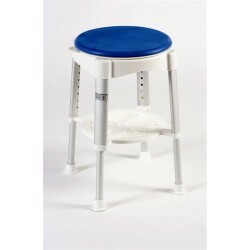 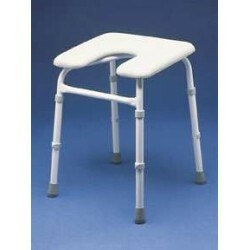 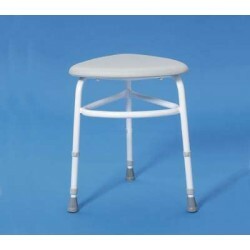 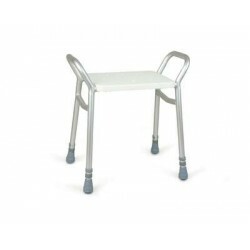 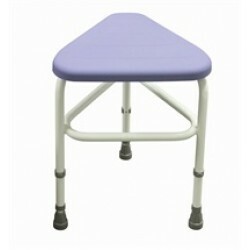 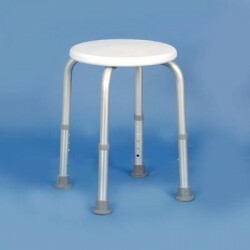 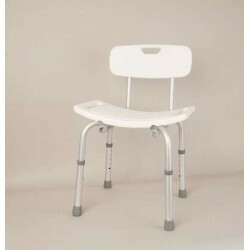 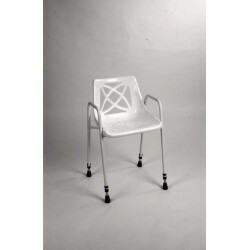 ..
Lightweight Perching Stool This stool aluminium frame and moulded plastic seat ensure corrosion r..
Lightweight Supended Bath Seat Constructed from aluminium with a plastic seat, this bath seat is ..
Savanah® Bath Seat A comfortable strong, white plastic stool with advanced sucker design for maxi..